Nintendo. They’ve been around for as long as I’ve played videogames, and they’ve made videogames since before I was born. They are credited with saving the videogame industry from its catastrophic collapse in 1983 and they’ve been producing extraordinarily high-quality games ever since. They possess a wealth of first party development studios that are responsible for some of the most beloved franchises of all time. They are close to the hearts of millions and millions of gamers worldwide. 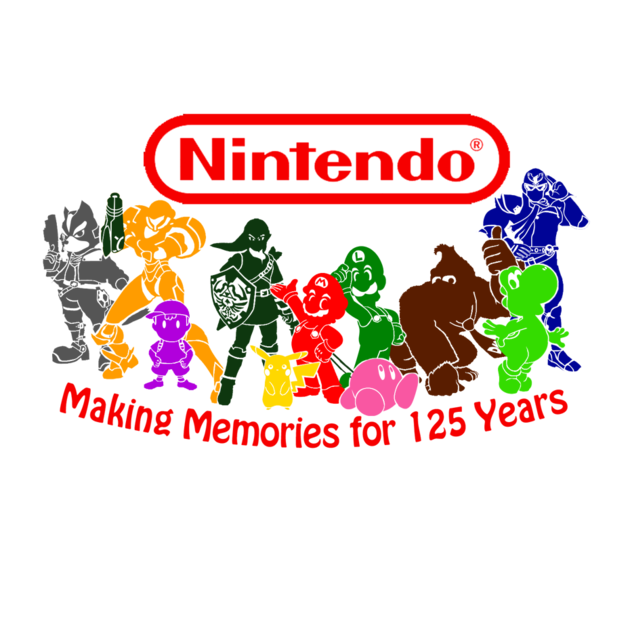 And this month, Nintendo turns 125 years old (Don’t freak out – they weren’t always a videogame company). To celebrate this momentous milestone, and in anticipation of the release of Super Smash Bros for 3DS on October 4th (itself a celebratory Nintendo party if ever there was one), I will be counting down my personal top 30 favourite Nintendo franchises over the next few weeks. It’s a difficult task to say the least but I’m very close to reaching a settled order, which will of course be my own personal opinion and nothing more. I hope you enjoy, and long live Nintendo! By the way, the image at the top of the page was taken from the lovely website TeePublic, where you can purchase it as a shirt from this page! Just saying.